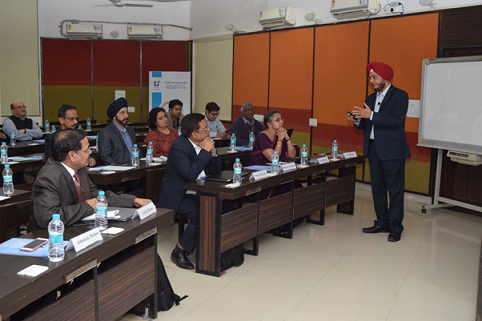 The Industry Interface Office (IIO) of IIM Indore in association with Confederation of Indian Industry (CII) organized a session on Fostering Innovation on November 29, 2017. 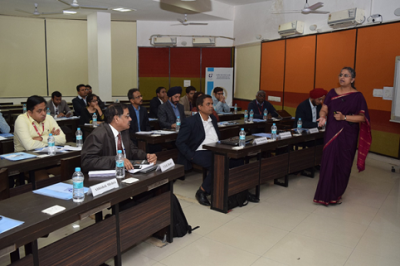 Speakers for the session included various experts including Professor Rishikesha T. Krishnan, Director, IIM Indore; Mr. R.S. Sachdeva, COO, Volvo Eicher, Pithampur; Ms. Vijaya Deepti, CEO, Tata IQ, Bangalore and Dr. Vikas Manjrekar, Head Innovation Labs, Avtec. Pithampur. 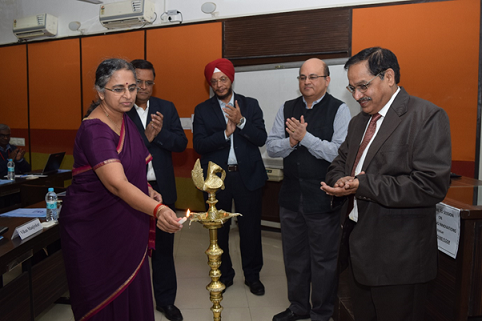 Professor NMK Bhatta, Faculty, IIM Indore welcomed all guests and participants. 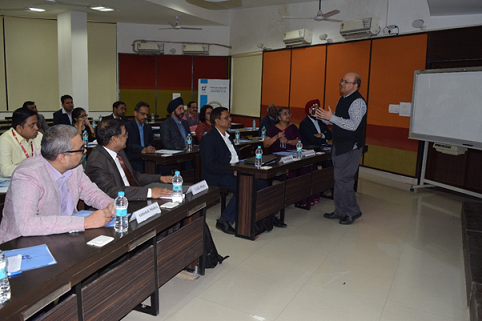 Professor Abhishek Mishra, Chair, IIO then briefed the participants about the activities of IIO. Professor Krishnan in his opening address described how innovation is important for industries and what the eight steps of systematic innovation are—like the idea of management, buzz creation, building participation, iterate on the business model and practicing open innovation etc. Mr. R.S. Sachdeva, COO, Volvo Eicher, Pithampur, during his keynote address, described innovation ecosystem in Indian industry. He also shared his views on the impact of innovation on human life and explained innovation scenario in India. He also discussed about how innovation is creating a structured & sustainable system. Ms. Vijaya Deepti, CEO, Tata IQ, Bangalore, explained about innovation in service industries, driver for service innovation, culture of innovation and building an innovation ecosystem. Dr. Vikas Manjrekar, Head Innovation Labs, Avtec. Described, how fostering innovation as the way of life in manufacturing and structure process for innovation. Industry leaders from all across Indore, Dewas and Pithampur region participated in the session.